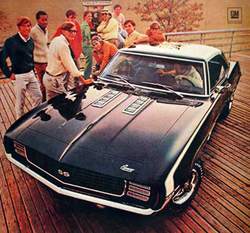 This page lists online resources for the 67 - 81 Chevrolet Camaro. These resources are meant to help identify vehicles and their options, aid in restorations and help educate new enthusiasts about their vehicles. We have personally reviewed each page and its content in an effort to make sure there is valuable information, and not just a site full of ads and useless dribble. Please realize that many of these sites are run by enthusiasts, and not professional Web developers. Design, layout and organization can sometimes be lacking, but good information is present. Also, we ARE NOT responsible for the content on these external sites. We will not be held responsible for incorrect information or malicious content. If you encounter serious problems with any of the sites listed, please let us know so we can investigate!